It’s a little disconcerting that big-name Star Wars players (who have, really, only just arrived on the scene) are talking about finishing up their roles, but here we are. 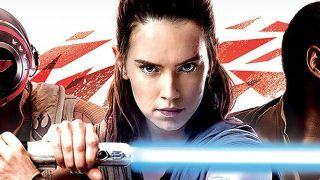 Daisy Ridley is pretty sure she’s three-and-done when it comes to Rey; Star Wars 9 is planning to be her last turn as the scavenger-turned-Jedi apprentice. You can put your fingers in your ears and scream la-la-la all you want, but here’s how Ridley answered when asked by Rolling Stone whether she’s planning on returning after her third go around as Rey: "No. For me, I didn't really know what I was signing on to. I hadn't read the script, but from what I could tell, it was really nice people involved, so I was just like, 'Awesome.' Now I think I am even luckier than I knew then, to be part of something that feels so like coming home now." So, other than Daisy Ridley predicting the end of the world and saying she’s returning as Rey (not sure which is worse to be honest with you) things are looking peachy… for now. After Star Wars 9, who knows?